(NationalSecurity.news) A top Iranian military leader has warned that “all U.S. military bases in the Middle East” are now within range of the regime’s ballistic missiles as he emphasized that Tehran would continue to violate international bans on the development and construction of those missiles, The Washington Free Beacon reported. Much of the ballistic development, like additional details regarding Iran’s quickly advancing arsenal, remains hidden, according to Brig. Gen. Amir Ali Hajizadeh, commander of the elite Iran Revolutionary Guards Corps (IRGC) Aerospace Force. In his comments, Hajizadeh downplayed threats of U.S. military action, warning that all American military assets – bases and ships – are now within range of Iran’s ballistic missiles, according to the state-run Fars News Agency. His threatening words come as Iran introduced new high-tech torpedoes and the formulation of a joint operations center with Russia, Syria and Iraq. 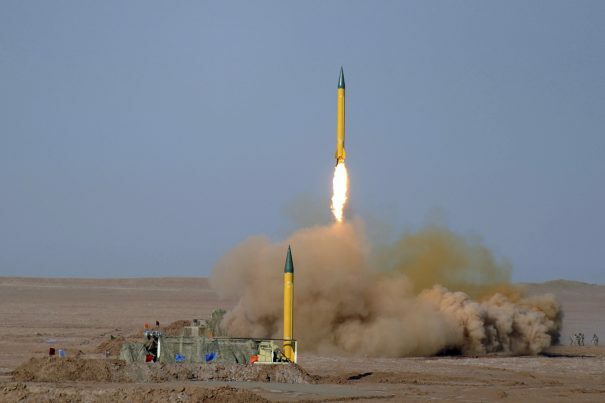 As an aside, the IRGC commander said that Iran would not slow its research and development, as well as construction, of advanced ballistic missiles that it likely sees as a necessary component of a future nuclear weapons delivery platform, despite the international ban. His comments mirror those of IRGC Navy Commander Ali Fadavi, who last month warned that “the U.S. knows the damages of any war and firing bullets in the Persian Gulf. Regarding the new torpedo, Iranian officials said it was based on technology obtained from Russia, the Fars News Agency reported. Bypass the mainstream media – click here to access the latest news from independent media!